Intel® Celeron dual core processor. I suppose every product line and brand of product has its share of lemons. 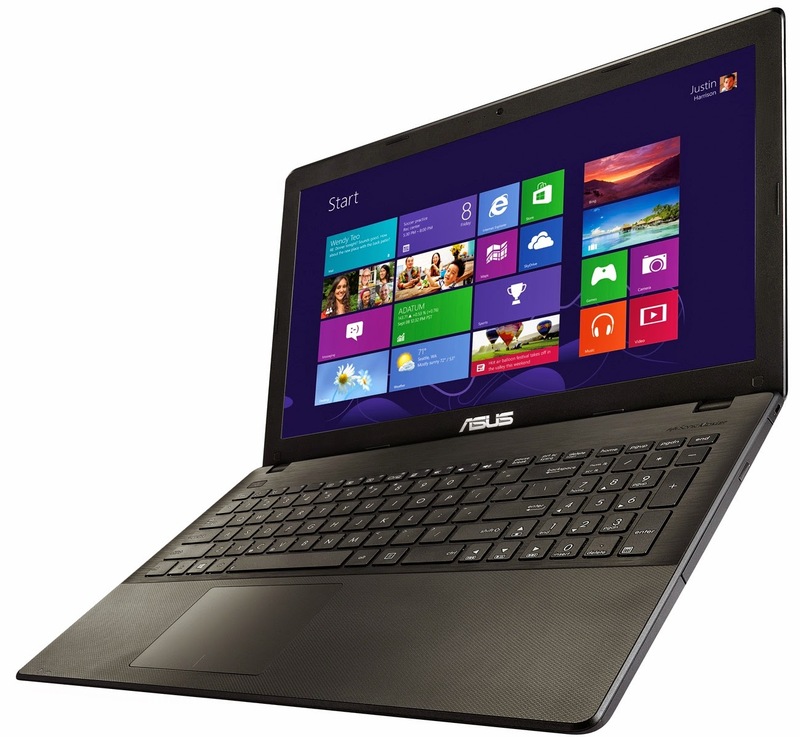 I bought the ASUS X551MA Notebook for my spouse in December 2014 as a Christmas present. The unit went into service in January 2015 and by June 2015 it broke down. It would no longer power up. I contacted ASUS since it was under warranty and they told me to return the product to them for repair and they created a repair ticket, referred to as an RMA. They gave me instructions on how to return the item and said I am responsible for all packaging and shipping, which then cost me $48.90. Now I'm not sure why I should have to pay any money out of my own pocket for repairs on something under warranty, but I did. In a couple weeks they returned the product to me saying they replaced the main board. Unfortunately, now there was an unwanted vertical line running through the display screen that would not go away. It constantly interfered with all visual quality. I called ASUS about it and they said to return the product to them again. I told them I was not going to pay for shipping again like last time and the rep told me they made a mistake the first time and should have provided me with a shipping label that ASUS would have paid for. I asked them to reimburse me for my cost but they refused. I told them I was unsatisfied now not only with the product, but with the service and I wanted to return the product permanently for a full refund. Again they refused. I told them I was going to bring this up with the President/CEO of the company, which didn't seem to bother them. I sent a letter to the President and CEO, Mr. Steve Chang, via United States Postal Service Certified Mail to Freemont, California. Someone by the name of S. Mann at ASUS signed for the delivery on July 24, 2015 (I have the receipt) and by August 19th there was still was no word from Mr. Chang. Now I know Mr. Chang is probably very busy. But if I was Mr. Chang and I received a letter like this, I would have personally and immediately replied, even as far as to call the customer on the phone myself. After all, my paycheck depends on it. But in the case of Mr.Chang, he decided I'm not worth the time or effort for him to respond to. Instead, he demonstrated through his inaction that his customers lack all value. In fact, he couldn't even get someone to respond on his behalf. It's too bad because my confidence in him and his company and his products has completely evaporated into thin air along with any future money I would have paid him for his products. Mr. Chang, you're fired! Sorry to hear, it's because they make a fortune off of us that they should respond quickly and possibly replace it. I have the same laptop and it works well even after pounding on it night and day for 7 months. This model is just cheap plastic, worth 3-$400, I paid 600, miss my HP. Sorry, to hear this but I have used this exact laptop for about two years on construction sites for system programming, have had HP and gateways that after 6 months were worthless because of the lack of durability! I don't know how or why you would pay $600 for this laptop. I purchased mine on sale a year and a half ago at Best Buy for $180. A quick search on Amazon would have told you that $600 is not a good price. You should never blindly accept the first price you see but, if you really did pay $600, then it was the retailer that was at fault, not Asus. And Barb, your story is unfortunate because I know that manufacturers warranties really are just empty promises. After almost 2 years I am having the same issue with it not powering on. While I honestly have probably gotten my money's worth at this point it is still very disappointing because this appears to be the mostly common problem with this laptop. Probably still a rare one, but common enough that Google auto suggested "Asus x551m won't turn on" before I even finished typing it. Maybe you and I should mail our dead laptops to Mr. Chang with another letter that says we have no use for a box full of spare parts but we were hoping that he could find use for them. Can this play nba2k15? Or gta 5? Congratulations on buying a piece of junk. I did the same and now its just a expensive paper weight. The battery never charges and sometimes it doesn't turn on! Hey Kemal Memisovski, which RAM did you buy and from where if you don't mind me asking?